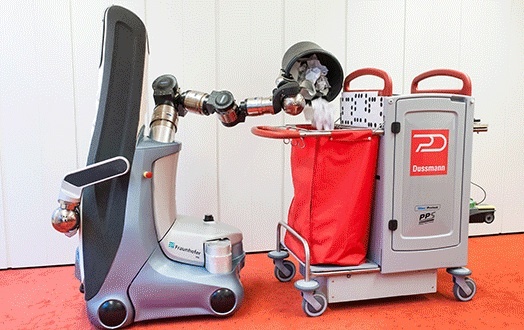 2015 sees mobile manipulators coming to market – LET'S TALK ROBOTS! Fetch Robotics has just announced $3 million funding from Shasta Ventures and O’Reilly AlphaTech Ventures, which will be used to bring their new mobile manipulator robots to market in Q2 2015. Fetch Robotics is looking at the light industrial and logistics sectors, although researchers will also find the robots affordable. 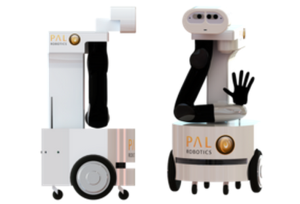 This comes hot on heels of PAL’s Feb 4 launch of Tiago, also a mobile manipulator. And it seems very possible that Google will announce something similar very soon. After all, they have now had plenty of time (and experts) to finish what Redwood Robotics had started. The innovator’s dilemma is at work here. The companies producing new mobile manipulators are not the big names in robotics. Companies like ABB, Kuka, Fanuc etc cannot really afford to produce a new style of robot that might damage their brand if it doesn’t perform to the same high standards. For example, ABB has been working on a collaborative manipulator for at least 4 years but in spite of unveiling the concept robot in 2011, ABB is only officially releasing YuMi for market on April 13 2015. This creates opportunity for faster moving small companies. It looks like the technological conditions are ripe for the development of affordable mobile manipulators. Now, we’ll all get to see if the market is also ready. Who’s who in the new light industrial manipulator sector? 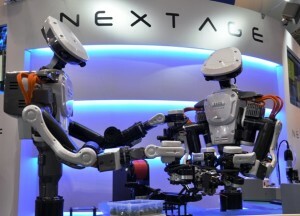 These new robots are like the affordable compliant offspring of a PR2 and Motoman’s SDA series robots. Only these robots are safe for working together with humans and won’t break the bank. We will also be seeing combinations of robots where a base from one company, ie. Fetch or Adept is used with an arm from another, ie. Kuka or Universal. Firstly, Fetch Robotics is not Unbounded Robotics and the robots will be different, although Melonee Wise is now the CEO of Fetch Robotics and the core robot building team is the same. 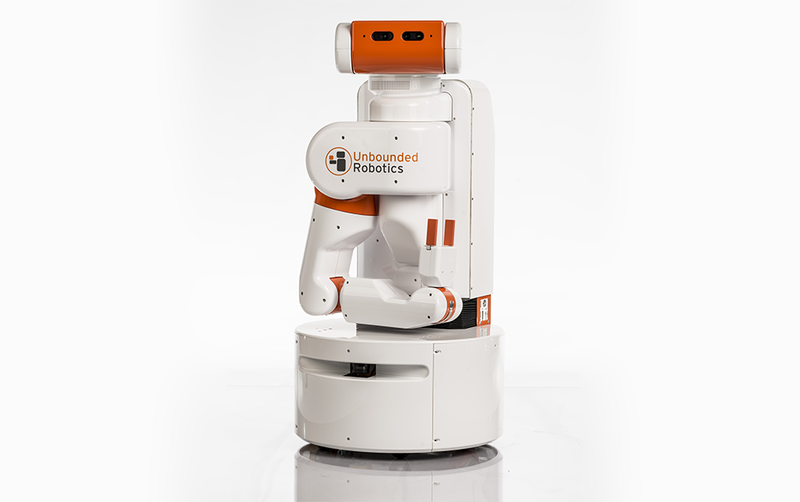 Unbounded Robotics ceased operation in 2014 just prior to marketing the UBR-1 (pictured). Where the UBR-1 was like a smaller version of Willow Garage’s PR2, the new robot(s) from Fetch Robotics will be separable base and arm(s). More information will be available in Q2 2015. PAL’s Tiago is also modular, available as base, base and arm and other configurations. Tiago has a 7DOF arm capable of lifting a 3 Kg payload and a 5 finger underactuated hand. Similar to the UBR-1, Tiago has a rising torso, USB and ethernet ports, and is also ROS compliant. The various Tiago combinations will cost between 30,000 and 60,000 euros. Baxter from Rethink Robotics is not autonomously mobile but you can add a wheeled base to your Baxter and push it around. 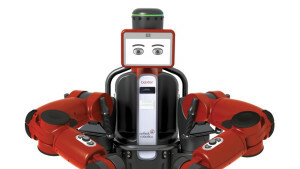 And Baxter is definitely affordable at $25,000 USD, although the various gripper options are extra. 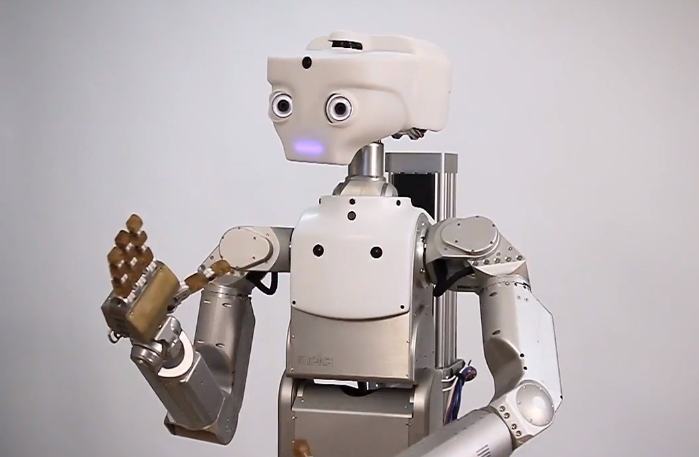 YuMi from ABB is another stationery dual armed collaborative robot, developed for small parts assembly, especially in the consumer electronics sector. 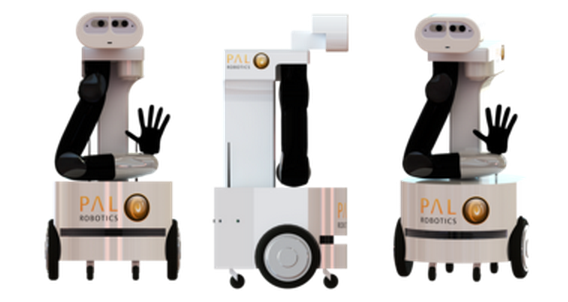 YuMi is part of a total small parts assembly solution that includes adaptable hands, flexible parts feeders, force control sensing and vision guidance. Nextage from Kawada has similar specifications to Baxter and YuMi, although only 6DOF in the arms but with an additional 1DOF in the waist. Nextage has been designed to be wheeled from place to place in an assembly line and has a compact configuration. And who knows for sure what Google is about to announce, although they have the IP and the experts to complete Redwood Robotics and Meka’s vision of an affordable lightweight compliant robot arm. They’re also well positioned to develop an autonomous mobile base. And who knows how many other startups still in stealth will announce their light industrial/logistics manipulators this year? I’m betting that there’s at least one more. As well as some robot arm/base combos being mix n match, the end effectors are also a whole ‘nother story. Perhaps 2015 will really be the year of the end effector.